Probably the most popular beach on the island is Trunk Bay. 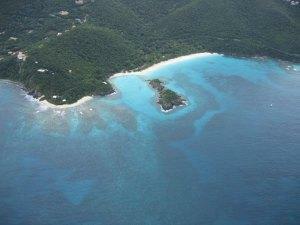 If you come to St. John, U.S. Virgin Islands for snorkeling, this is where you want to start. Trunk Bay has a snorkeling trail. 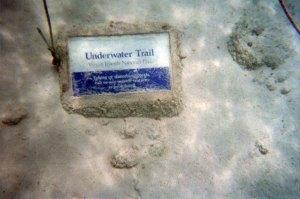 Yes, the beach is tops on the island, but before we review it, a few notes about the more than 650 feet of underwater trails. Come early in the day, before the sun is hot and the crowds start churning up the water to see all the markers. Even if you’ve been in the water 100 times, this is the U.S. Virgin Islands and it’s special. Take the time to “do the trail”. Just like a hiking trail, you can follow the markers along the bottom and see things you would not have seen before. It’s wide, you won’t run into other snorkelers. And most of all, it’s fun! Trunk Bay is part of the U.S. National Park system and is the only beach on St. John that has an admission fee ($4.00 pp). The beach curves around Trunk Bay and is wide. There are numerous reviews on the beach in guide books, some negative. What we advise is to not miss this beach if you are on St. John. Arrive early. Tours will come and go. Remember, the cruise ships only have an hour to get their people in and out. You can use the changing facilities/bathrooms and concessions are well stocked, though slightly expensive. Everything has to be imported. 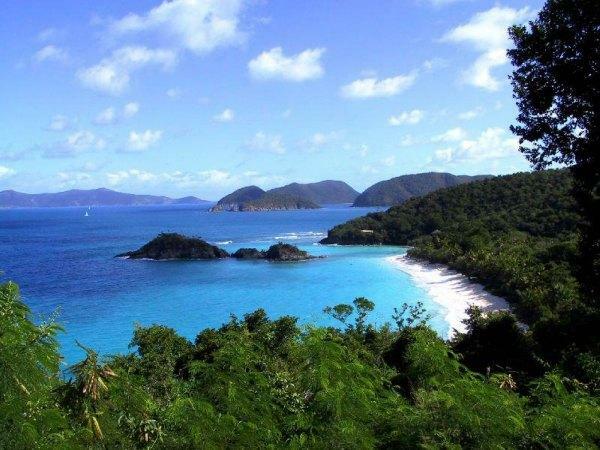 Take the time to experience this jewel of the U.S. Virgin Islands. You won’t regret it.